We all know that an infestation of roaches is not a good thing. They are disgusting and very dirty insects that are hard to get rid of. They can invade even the cleanest of the homes. Once they make themselves at home in any house, it will be a difficult task to kick them out. The moment they are in your house, they will damage books, wallpapers, electronics and even snack on your food. The worse part is that they are some species of cockroaches that can spread germs to humans. Here are some ways on how to get rid of cockroaches. Water bugs vs cockroaches – what’s the difference? First you need to identify where the roaches are living in higher population. The big problem is that they hide during the day and come out at night. 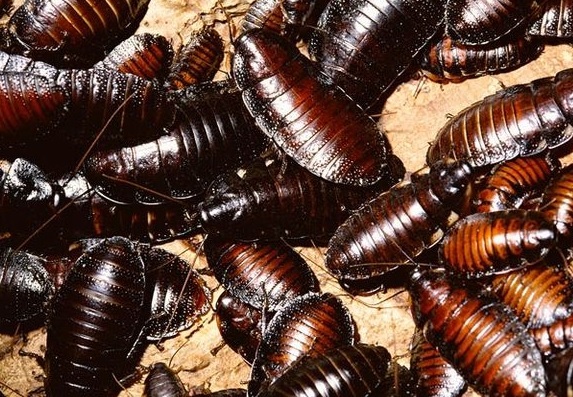 If you see just one cockroach, you have definitely got a lot more in your house. Therefore, if you see one, you should follow it to figure out where it goes. When you find where they live, deny them food and water. If the temperature is acceptable, they can live for one month without food and one week without water. Find water leaks in your house and fix them. Then clean your house carefully. When a house is clean, most roaches will go away. The first room you should clean is the kitchen, Wash all the dishes and keep the entire room clean. Keep all the food containers closed and make sure there is no food left out for lengthy periods. When cleaning, do not splash water against the wall. Remember they need water to survive. Do not let your trash sit for too long, and make sure you do not use a trash can without a lid. Roach bait is a gel that contains slow working poison mixed with attractive bug’s food. When these creatures eat the poison, they bring it back to the nest, and eventually kill all other bugs. Ensure you place the poison in an area where you know these bugs will encounter it. The area should be near their nest to increase the chances of the other bugs eating it. One problem with this method is that they may have already laid eggs which will hatch afterwards and you will have another wave of the insects taking over your home. You can also try homemade cockroach bait. It is a mixture of boric acid, white flour and pounded white sugar. The sugar and the white flour will attract the bugs, and the boric acid will kill them. Sprinkle the mixture in the backs of the cabinets and drawers, under the stove and under the refrigerator. The mixture may cake hard in humid environments such as cabinets and floors. Therefore, you need to use foil trays or papers to protect your surface. There are numerous pesticides that are labeled for use against bugs. All you need is to spray the pesticide whenever the roaches are hiding including walls, in the vents and in cracks. If you are also using the cockroach bait, do not spray near the bait. The spray can contaminate can make the roaches to go away. Always keep the pesticide away from children and follow all instructions on the product label. You can also use a solution of soap and water. This is one of the easiest ways to kill adult roaches. You can splash it or spray it. Two to three drops of soapy water solution can easily get rid of a bug. Make sure the solution makes contact with the head and the lower abdomen. The soapy solution kills the bug by foaming a coat over the roach’s inhalation openings. For the worst infestations, you can use professional grade pesticides. This should be the last option. Professional pesticides are more effective than products purchased at a local store. You will probably have to buy it online because it is not retailed in the hardware stores. The advantage of professional grade pesticide is that it will kill all roaches and also provide a lasting effect for two to three months. However, since the pesticide is very strong, it will kill even the bugs that eat cockroaches such as spiders. Cockroach traps will attract roaches in and then trap them with glue. However, you can only use the method to kill a small population of adult bugs and it will not affect the nest. Another simple and effective homemade way to attract and trap bugs is with a jar of water. You can add baits such as coffee grounds. Again, it will only kill adult roaches but it will not affect the nest. After getting rid of roaches, you should prevent re-infestation. Most bugs love piles of wood and other suitable hiding places. When the weather turns colder, they will move inside the house. Always ensure your woodpile is away from your house. Remove leaves, clippings, straw and any other yard waste. You should also seal the house to keep the bugs away. Fill all cracks in exterior walls to keep bugs out of the house by blocking their entry. This will take a lot of time but it is worth the price. You will eventually reduce their hiding and breeding places. Seal cracks inside every cabinet inside the kitchen, around pipes in bathrooms and cracks on both sides of the doors and windows. Even after successfully getting rid of cockroaches, you can easily prevent a re-infestation by setting out traps that will eliminate bugs before they become a problem. The best way is to set traps near potential areas of entry. You can also spray pesticides near potential entry points to eliminate any bugs that can get past the trap.